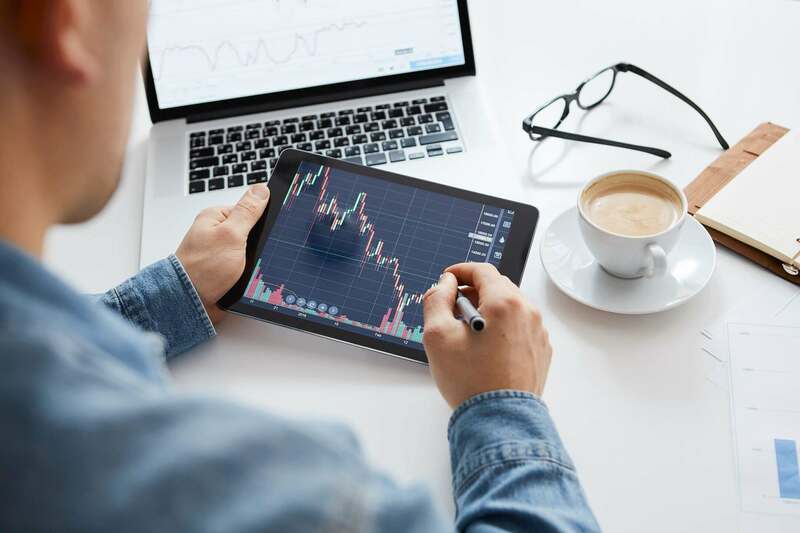 A trading strategy is a pattern- or trend-based approach to forex trading, in which certain specific aspects of the market are relied on for probable trading direction. What’s happening in the forex market in 2018? Well, volatility is one major aspect. Traders are spooked, to some extent, by the level of geopolitical instability – you read about it regularly in the newspapers, or, I guess, on your newsfeed nowadays. Then there is growth. Stocks have been weak lately, and gold has been down, while the price of oil is anybody’s guess. This has pushed a lot of investment capital into forex, where results have been more predictable, despite relative volatility. One trading strategy that fits volatile markets well is scalping. The term ‘scalping’ comes to us from the investment world, where it means jumping into and out of an investment very quickly to just skim a quick profit. We like this strategy very much in volatile times, where you profit from a short-term trend, and then cut your risk down by getting out fast. It’s particularly adapted to forex trading because, the longer a forex trade lasts, the greater the risk you run. So you might bet the euro against the British pound (EUR/GBP) for five or ten minutes one day, take advantage of a jump or a slide, and then out you go with a small positive gain. This is a low-risk strategy that is well adapted to today’s market. You place two opposite orders and cancel the losing one out while taking 50 pips profit. The trick is to find a currency pair with a large daily movement — pick a pair and track it for a few days before you start. Then place two pending orders: A buy order with a stop 10 pips above the high, and a sell order with a stop 10 pips beneath the low. Whichever order is activated when the price hits the target is the one you keep – you cancel the other one. This is an excellent strategy for uncertain times. You will often be told, as a trader, to use stochastics in combination with other types of indicators. But the results of this very common strategy are mediocre. The double stochastic approach produces far better results. It’s quite simple: You use one fast stochastic and one slow stochastic working together. You wait for the slow stochastic to indicate a trend. When the trend is clear, you wait for the fast stochastic to confirm it. When that happens, jump in and take advantage. We often trade in range-bound markets today. So a strategy that is targeted to range-bound trading has become very popular – this one is called the Bollinger Band Bounce. It’s based on using Bollinger Bands – an indicator that tracks price and volatility over time. First, decide if prices are range-bound. Is an upward movement to hit the same resistance point each time and bouncing back? When this happens, the pair will stay either above or below the middle Bollinger band for some time. What you then look for is a “tweezer” formation on a candlestick chart – two candles that are at the bottom or top of a trend, but which are exactly the same. When this formation occurs, you can either trade it (as a low or high point) or wait for the bounce to occur and trade the rebound. Bollinger bands take some getting used to – they are among the more complex indicators in forex, and you should get used to them a bit before jumping in. But they offer many useful strategies, of which the ‘bounce’ is well adapted to today’s market. Here’s a good way to take advantage of the Emerging Market growth trend we’ve seen in forex in 2018. What traders call ‘exotic pairs’ involve putting a less-traded Emerging Market currency (the baht, the rand, the real, just to name a few) with a major currency like the dollar or the euro. The advantage here is that you are taking a fairly predictable currency and pairing it with one that is far less traded, and so may work in fairly regular patterns. You will want to observe the exotic currency a bit before jumping in.